Easter is a Christian feast and holiday celebrating the resurrection of Jesus Christ on the third day after his crucifixion at Calvary as described in the New Testament. Easter is preceded by Lent, a forty-day period of fasting, prayer, and penance. The last week of Lent is called Holy Week, and it contains the days of the Easter Triduum, including Maundy Thursday, commemorating Maundy and the Last Supper, as well as Good Friday, commemorating the crucifixion and death of Jesus. 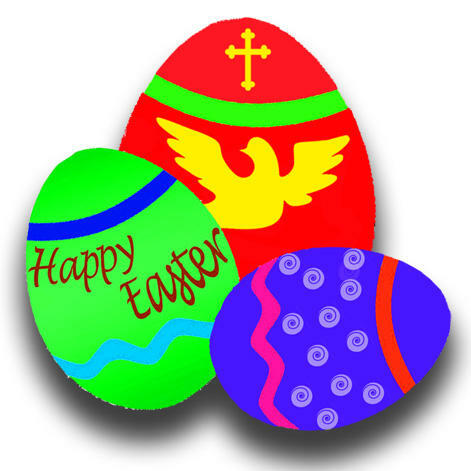 Easter is followed by a fifty-day period called Eastertide or the Easter Season, ending with Pentecost Sunday. The festival is referred to in English by a variety of different names including Easter Day, Easter Sunday, Resurrection Day and Resurrection Sunday.